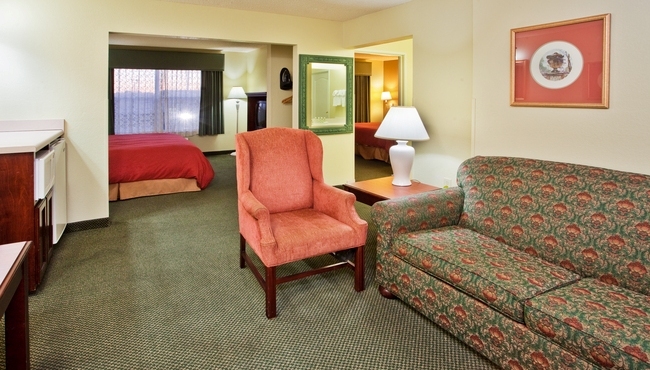 After a fast-paced day at the Atlanta Motor Speedway, slow down and relax in one of our rooms or suites at the Country Inn & Suites in McDonough, GA. You can pour yourself a cup of coffee using the in-room coffeemaker and watch your favorite HBO show on TV. Craving a midnight snack? A refrigerator and microwave ensure you stay full and refreshed. If your family likes to spread out, book one of our hotel’s spacious One-bedroom Suites for a separate living room with a sleeper sofa. Choose between one king-size bed and two queen-size beds when you book a Standard Room, complete with all of our standard amenities. Make yourself at home in a One-bedroom Suite, featuring a separate living room with a sleeper sofa and a flat-screen TV. 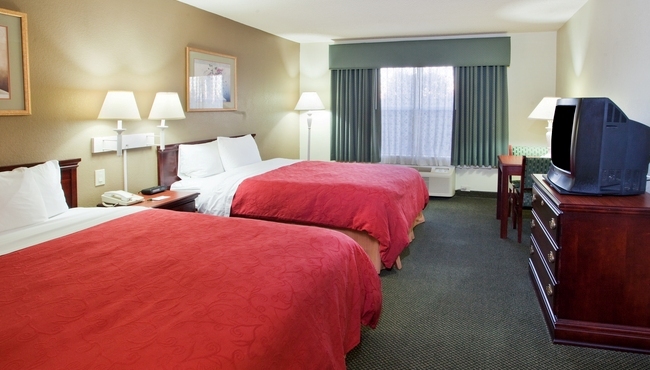 In the private bedroom, there is an additional TV plus your choice of one king or two queen beds. 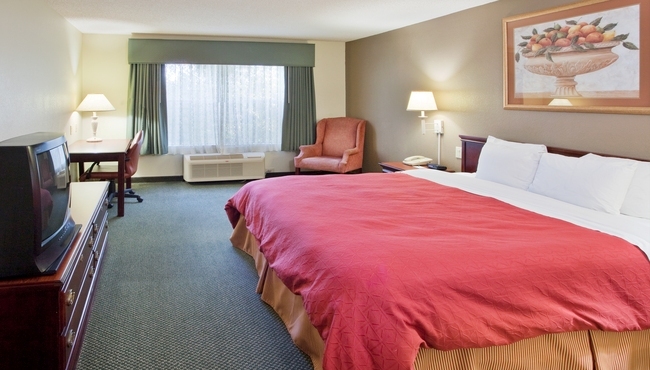 When traveling with family or on an extended stay, reserve a Deluxe One-bedroom Suite with two king beds and a sleeper sofa in the separate living room.